We are keen to get a record turnout to support the Lodge, and based on the first visit earlier in the year we would suggest that you book early which you can do by simply clicking YES below and completing the on-line attendance form along with your dining requirements and payment method, we will do the Visiting Encouragement Committee will do the rest. If you are unable to join all your fellow Masters then click NO or email sec@berksvet.org and we will register your apologies. We wish to ensure that every Master in the Province is either present or have their apologies recorded so please ensure that you register you intent by clicking on one of the options below. 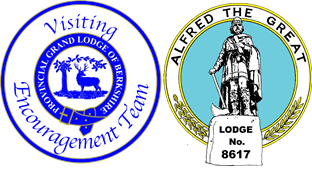 We will be planning future outings at Centres across Berkshire and hope this can be the 1stor 2nd of many team events to add to the enjoyment of being a Master of your Lodge and you have the opportunity to make lasting friendships with fellow Masters of your year.